Категория продукта Gravity Separator, мы специализированные производители из Китая, Gravity Separator, Gravity Separator Machine поставщики / фабрики, оптовые продажи высокого качества продукты Multifunctional Gravity Separator R & D и производство, мы имеем совершенный послепродажное обслуживание и техническую поддержку. Посмотрите вперед к вашему сотрудничеству! Rectangular Deck for greater capacity and accuracy, quickly & easily interchangeable type. Fans are dynamically balanced with individually adjustable air control for each fan for precise control of air flow. All the fans are mounted on one common shaft. Variable oscillation speed of deck in wide range. Variable inclination of deck sidewise and lengthwise in wide range. Heavy duty and rebust structural frame to absorb the vibrations. Seed Collecting spouts are fitted with bag holding clamps. Eccentrics are counter balanced giving smooth oscillation action to the deck. Built in air filters can be easily removed for easy access to the moving parts. Screw type arrangement for each fan for controlling the quantity of air. The Seeds Gravity Separator is widely used in seeds and agricutural byproducts processing.It`s excellent in grain seeds,bean seeds and other seeds selection. 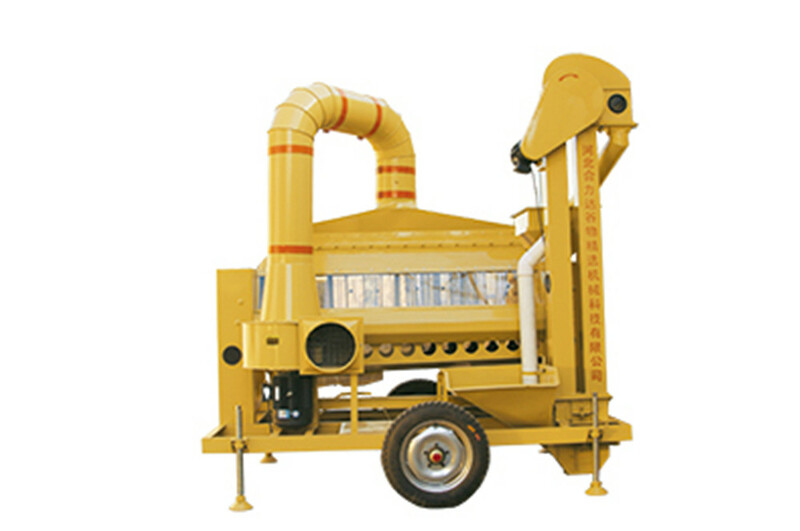 It can eliminate inferior grain, moth bitten seeds, rotten seeds, black-powder disease seeds, seed with glumes,sand and stones among the seeds.After sifting,the produce quality,including weight per thousand seed, bud rate, cleanliness and consistency, will be greatly improved. The Seed Gravity Separator is widely used in seeds and agricutural byproducts processing.It`s excellent in grain seeds,bean seeds and other seeds selection. 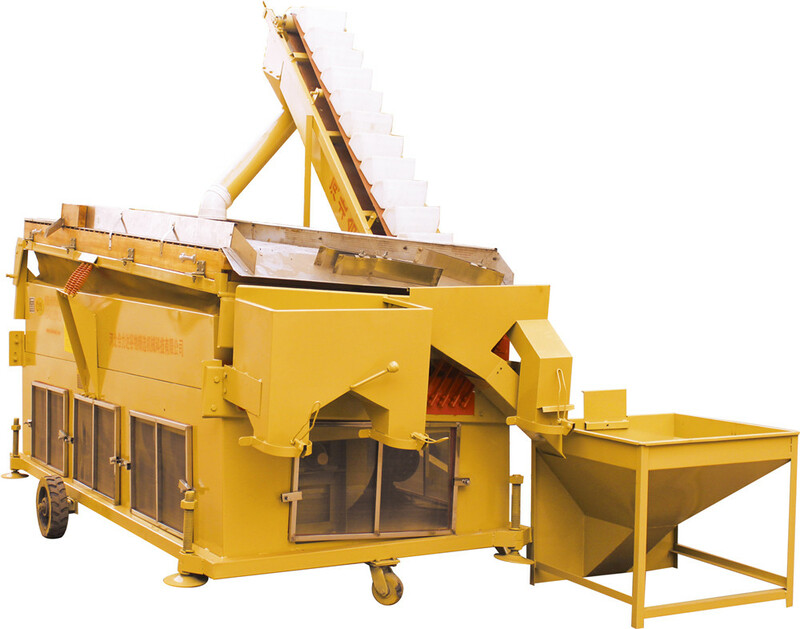 It can eliminate inferior grain, moth bitten seeds, rotten seeds, black-powder disease seeds, seed with glumes,sand and stones among the seeds.After sifting,the produce quality,including weight per thousand seed, bud rate, cleanliness and consistency, will be greatly improved. We are the Sucking Gravity Separator,Blowing Gravity Separator Chinese supplier. 1. Additional Deck meant for small seeds, like vegetable seeds, grass seeds, flower seeds etc. 2. Vibratory feeder for non-free flowing grains. 3. Also,we could prepare canopy dust system including hood to cover part of the deck, connecting duct, cyclone dust collector with intergral fan as your want. 4. Seed Gravity Separator Elevator (to feed specific Gravity Separator).